This salad is really colorful and is a great addition to any buffet. It resembles the traditional Trees and Raisins Broccoli salad that you are probably familiar with but adds pasta. It was great with the Easter ham. 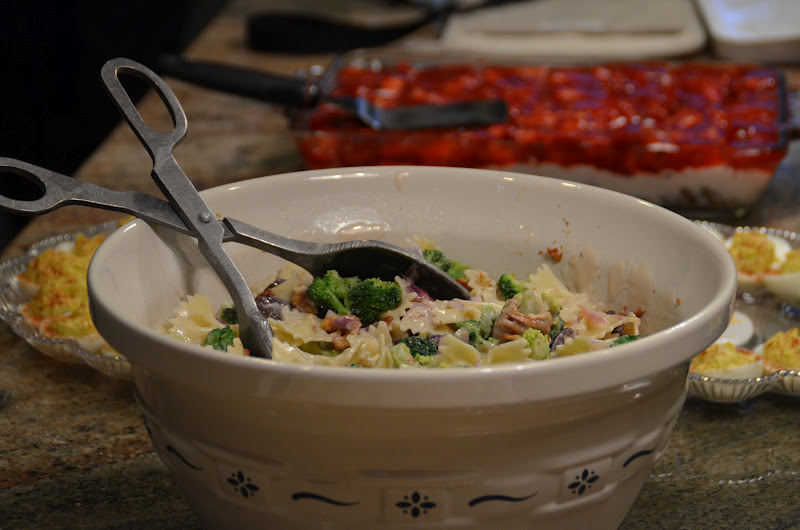 I was kind of busy getting the meal together and forgot to take pictures until we were ready to eat! 1 lb. fresh broccoli, cut into small flowerets, place in a colander, pour boiling water over the broccoli and then pour cold water over the flowerets. 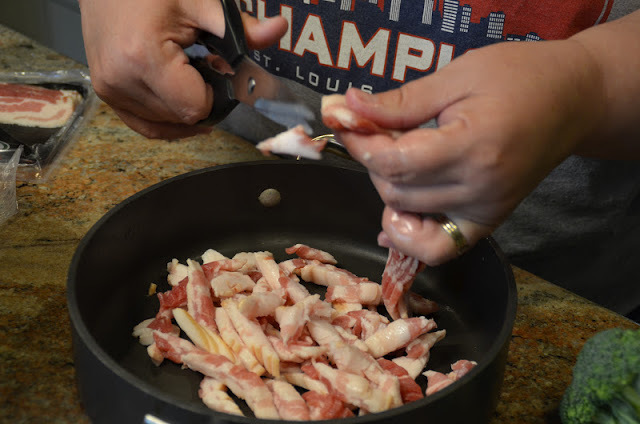 Tip: Cut up your bacon before you cook it. Takes alot less time to cook. Prepare pasta and cool. Place in a large bowl. Add the rest of the salad ingredients. Cover and chill until ready to serve. 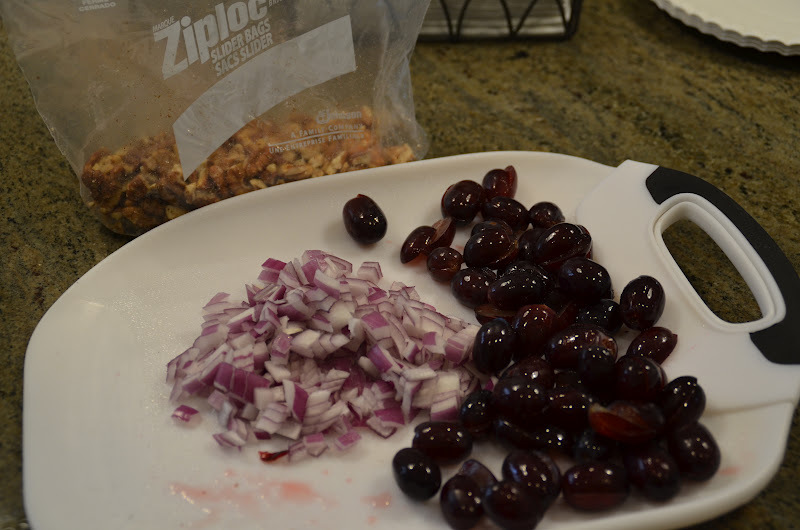 Mix together the dressing ingredients. Chill. When ready to serve pour all dressing over salad and toss.